The year has come to an end and it's time for us here at Exploring Tampa to come up with our first annual best of list. This list will be comprised of restaurants, events, etc that we've gone to over the year (whether it's been covered on this blog or not) and what we feel is the best of the year. Obviously, this is a list of our opinions and everybody has one. If you disagree with us, feel free to leave a comment below! Iavarone's is a Tampa tradition. You don't need me to tell you about them, but I will. The interior is dimly lit and intimate, the food is divine, and the alcohol that they carry all seems to be top shelf. The one downside is their lack of local craft beers, which being in Tampa, is kind of a big downside. That said, their food is amazing, the atmosphere is amazing, and you can always find Carmine walking around talking to guests. This is the type of restaurant you take someone to when you want to impress them. I, somehow, managed to completely miss reviewing this restaurant. The fact that it was my birthday dinner probably helped in that. 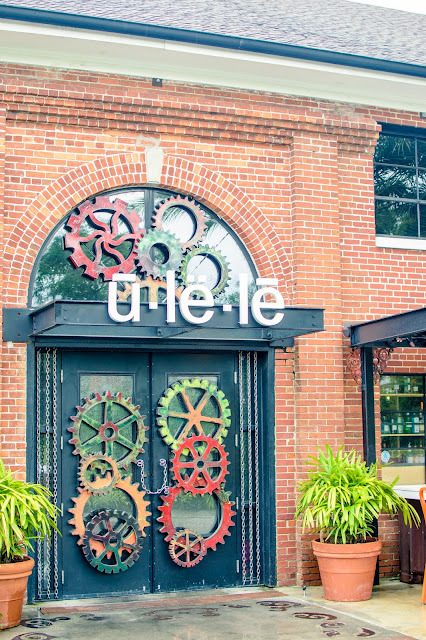 Expect to drop some serious money when you go here, but the food is second to none. The owner of the restaurant wanders to each of the (roughly) ten tables in here and greets each person, holds a conversation, suggests wines and foods, and brings forth an atmosphere not found in many restaurants. 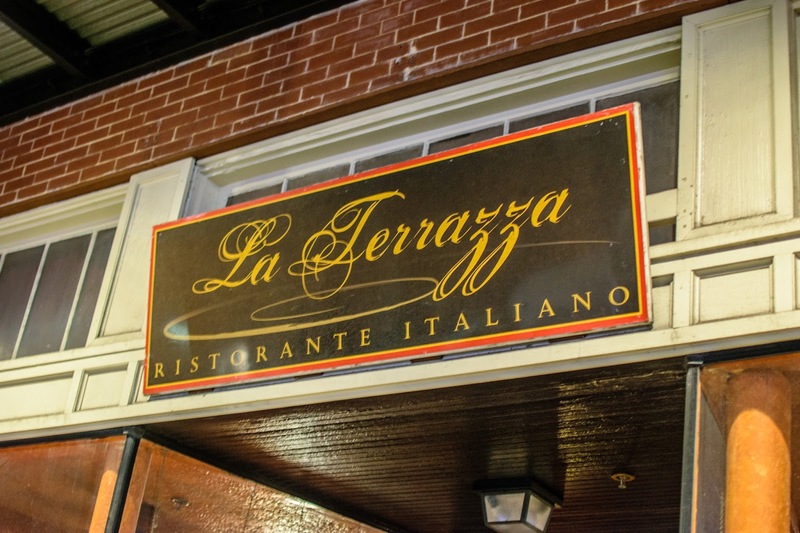 The food is traditional Italian fare, done well. Brought back from the dead by Richard Gonzmart of The Columbia, Goody Goody provides the people of South Tampa/Hyde Park with amazing food sold at diner prices. Their POX burger is still one of my favorite burgers and their pie is what put them on the map. 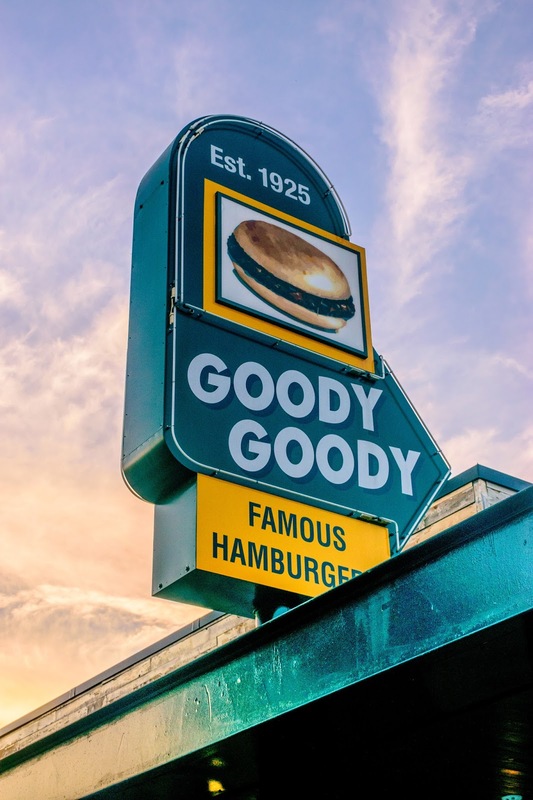 If you haven't had the chance to go to Goody Goody yet, make your plans for the new year. 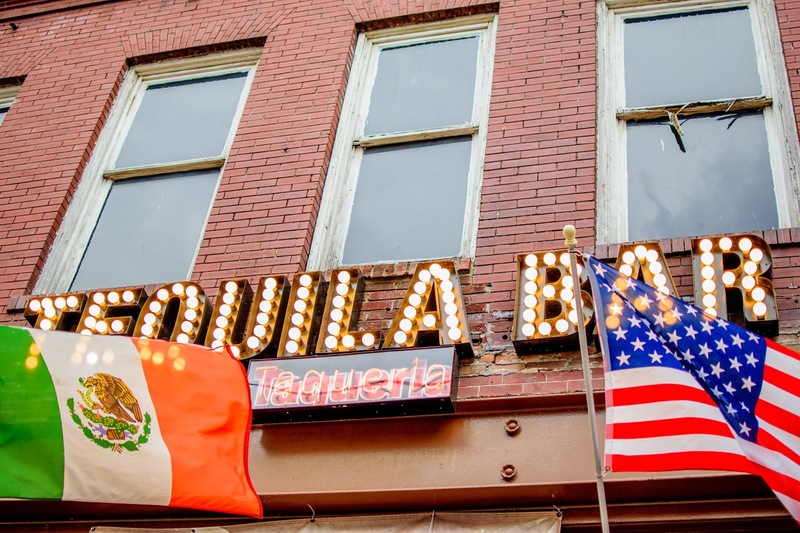 Alright, listen up: Before 7:00 pm (daily), Tequila's offers up all you can eat fajitas. Did that get your attention? The best part? It's only $10. That gets you chicken AND steak. What else do you need to know? 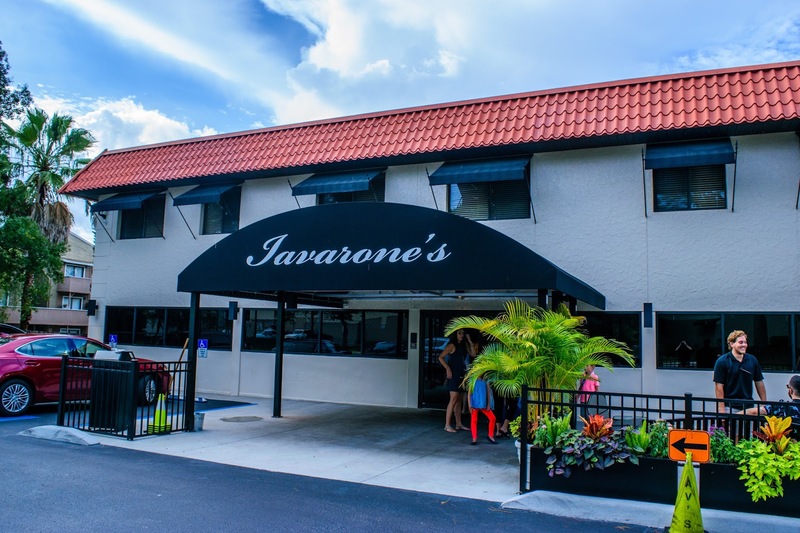 The food is, easily, the best price to quality ratio in the City of Tampa. If the food isn't enough to convince you, then the drink specials will be. There are quite a few, so head on in and check 'em out. Ignore the old name on the sign, this is London Heights. One of the biggest complaints I've heard about Seminole Heights is that this is an area where chefs come to experiment. I have no problem with this, but many others do. This is where London Heights is so refreshing. You can come in and get a "normal" meal without having to worry about all the glitz that comes from other establishments in the area. If you're just looking to get a burger and fries, this is the restaurant you want to go to! There are many pizza places in Tampa. Many of them are trying to mimic the popular New York style or trying their hand at a Chicago style. Two very loved and respected forms of pizza. Every once in a while, you'll get a pizza place that's trying a traditional Neapolitan style pizza. And every once in a while, someone comes out with a pizza that's unique to the area they live in. Tampa Pizza Company did just that. 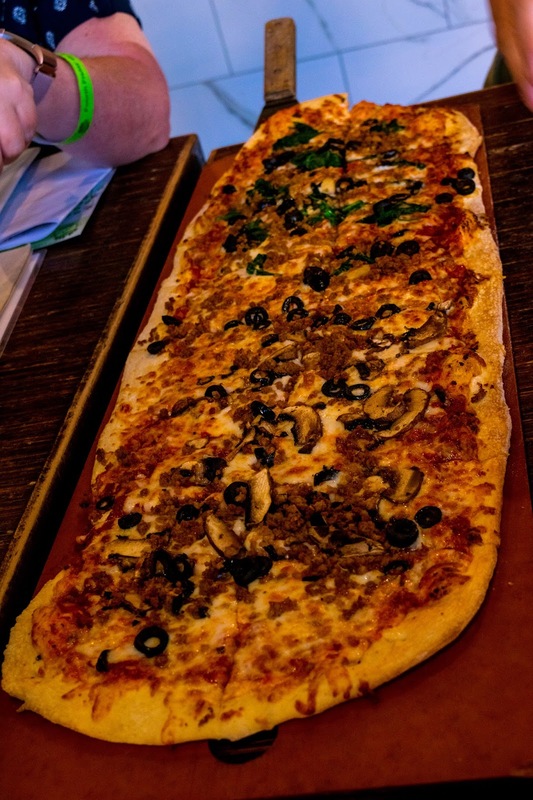 The thin, but not quite cracker crust, the bountiful amounts of sauce, the level of toppings, and the cheese bring this all together into one of my personal favorite pizzas. 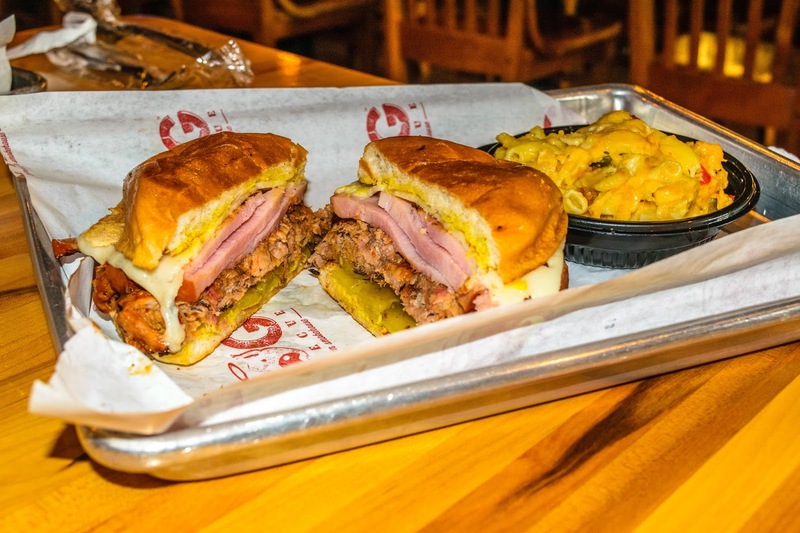 It's a daring move to come to the City of Tampa and try to reinvent the Cuban sandwich, but somehow, Holy Hog BBQ managed to pull it off. The bread combined with the BBQ pork, thick cut ham, and cheese brings out the best of this sandwich. This sandwich stands out with how well the pork and ham works together in the creation of this masterpiece. Does it get anymore Tampa than by riding on the historic streetcar line? 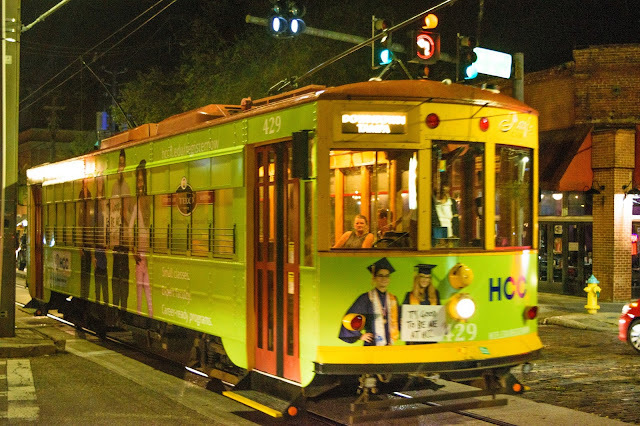 The streetcar dates back to the very early days of West Tampa and helped to bridge the Ybor, Hyde Park, Downtown, and West Tampa communities. Unfortunately, most of the streetcar lines had been paved over, but the historical cars still run between Channelside and Ybor. Look, we have a river and it flows through our downtown and between Tampa Heights and West Tampa all the way to Lowry Park. 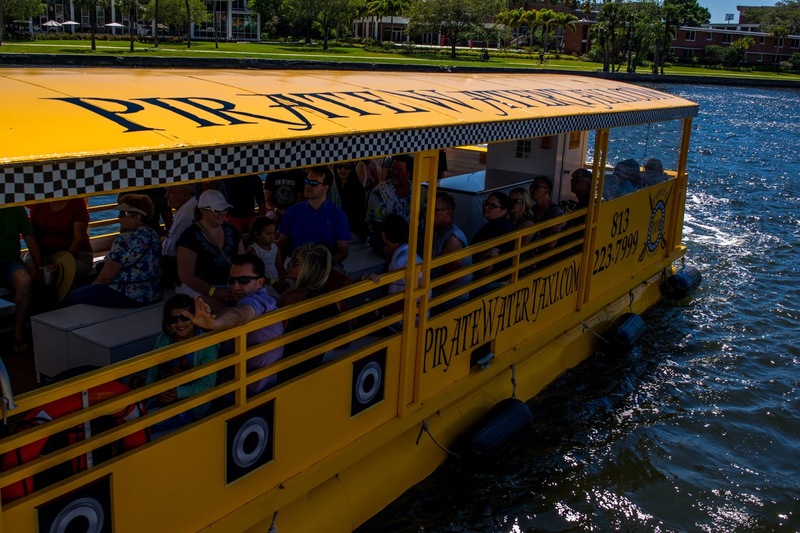 The Pirate Water Taxi will take you from Channelside to Rick's on the River. 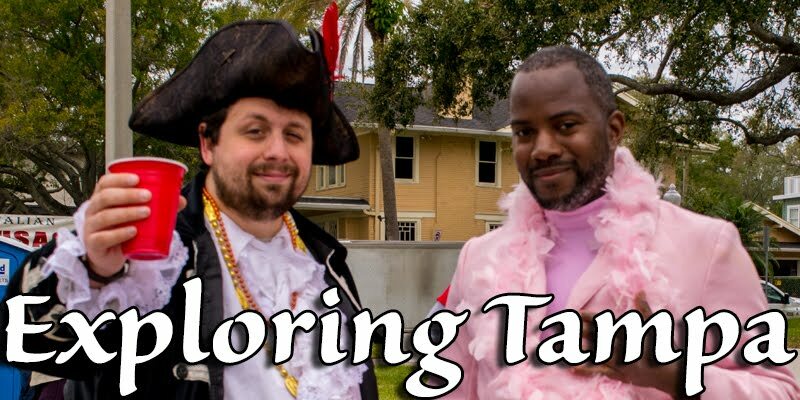 Their daily rates allow you to get on and off the taxi from business open until close, allowing for a ton of exploring around Tampa while also getting a history lesson while on the boat. 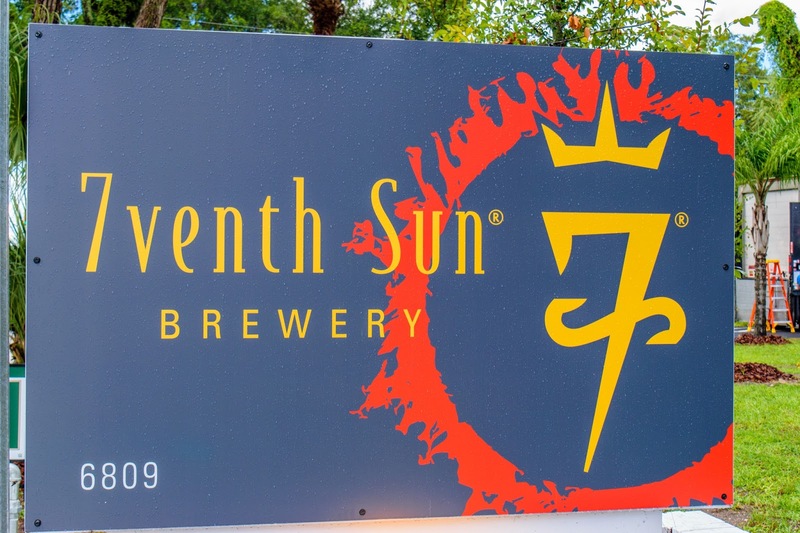 Lets start this off by saying that I had only been to 7venth Sun once at their Dunedin location. They had some amazing beers there, but the location is tiny. Imagine my surprise when I saw a sign next to the Mermaid Tavern claiming they were opening a second location. 7venth Sun is one of those breweries for people who love craft beer, but want something different, and their second location is no different. 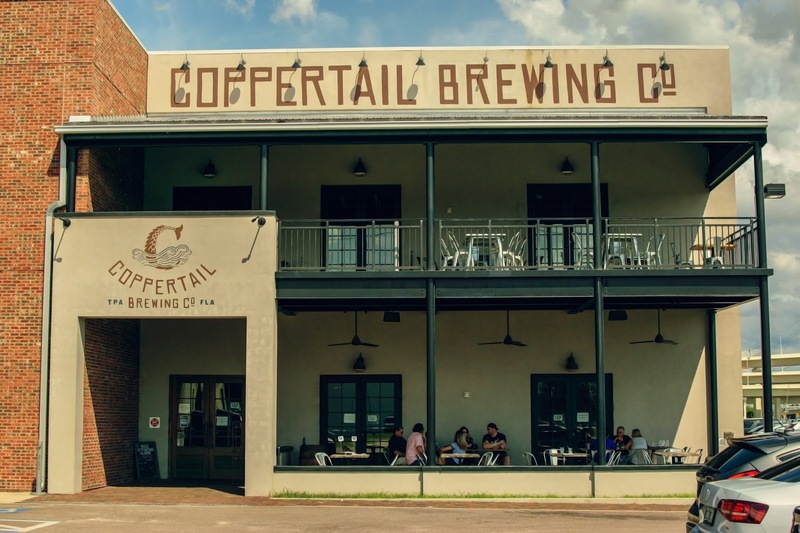 If 7venth Sun is where a serious craft beer drinker goes to get something different, Coppertail is where the serious craft drinker goes to get their favorite styles done well. Free Dive IPA has quickly gone on to become one of my favorite beers while Stormy has fallen in love with Coppertail's sours. The addition of a restaurant has also helped Coppertail immensely. 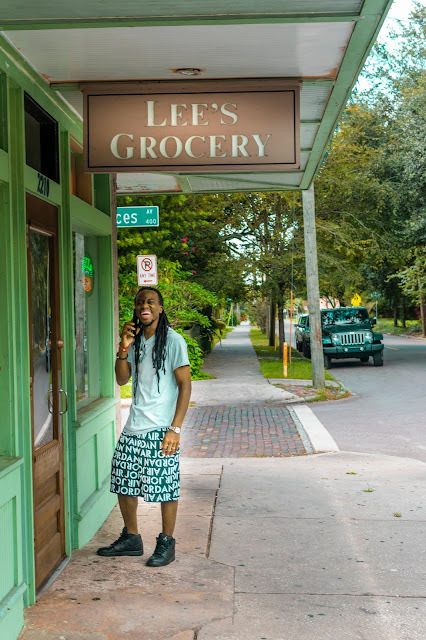 Lowry Parcade is one of the most interesting places to go in Tampa, period. 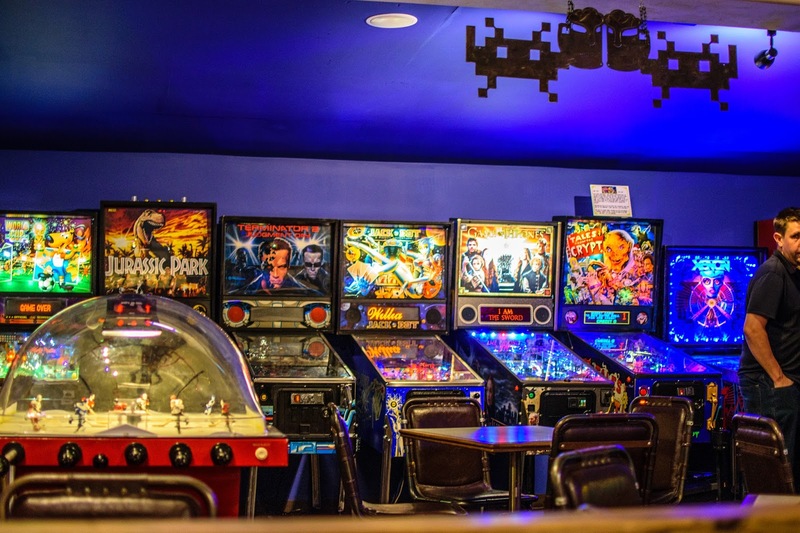 Old school arcade games mixed with a ton of local craft beer and you get a unique experience you're not bound to find anywhere else. 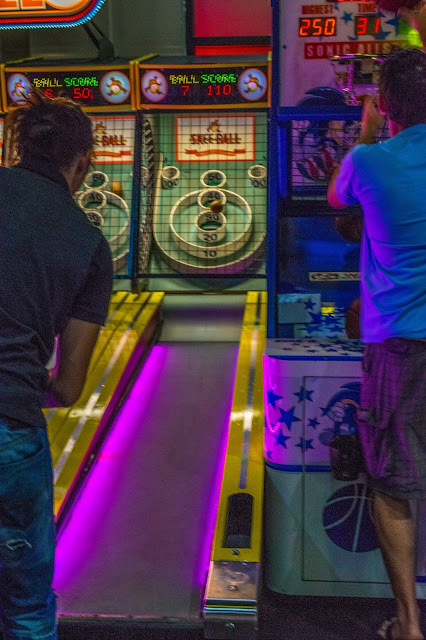 And yes, while other, newer arcades are opening up around the area, Lowry Parcade has a neighborhood feel. Hosting the Church of Nintendo weekly, bringing in brewery reps, and having gaming tournaments are just a few of their offerings. I wanted nothing more than to put Lowry Parcade here, but the sheer amount of space that GameTime has, alone, allows them to provide more games than Lowry Parcade. 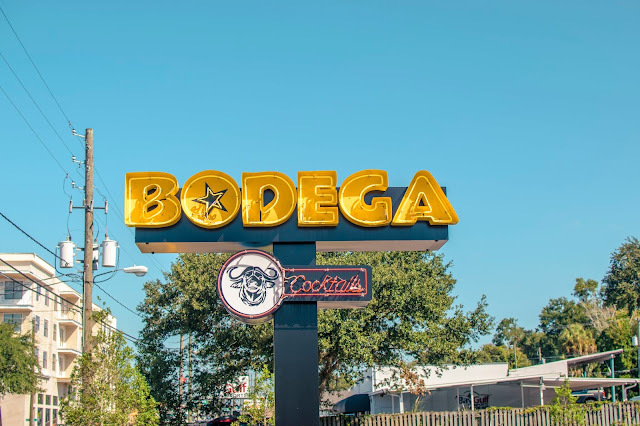 Add to that that being in Ybor, it's almost a requirement for them to also have to provide liquor and it helps tremendously that they also have a restaurant. If you're looking for an all around good time to have with the family, it's hard to send you anywhere but GameTime. The quintessential dive bar. One of the few bars in Seminole Heights that serves liquor. 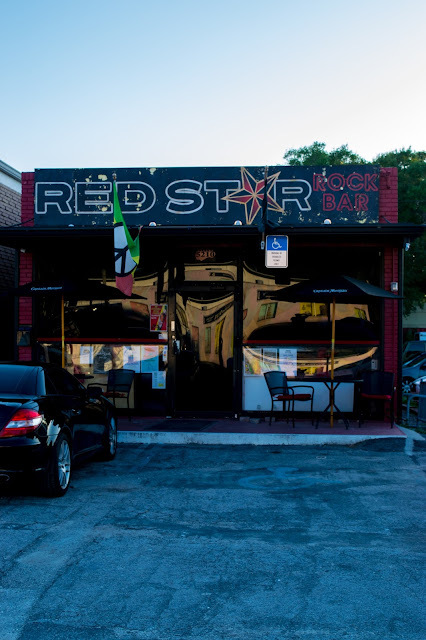 The Red Star Rock Bar is everything that you could want in a bar. 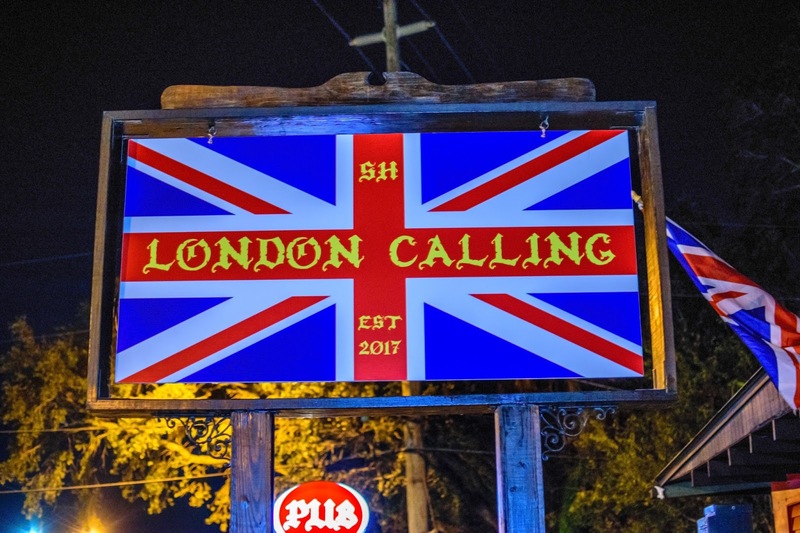 Live music, cheap drinks, friendly staff, food trucks... You wont find another experience like this in Seminole Heights. I'm sure everybody here has been at least once as it's a Seminole Heights mainstay. Look, you all already know that Stormy and I pretty much live here. 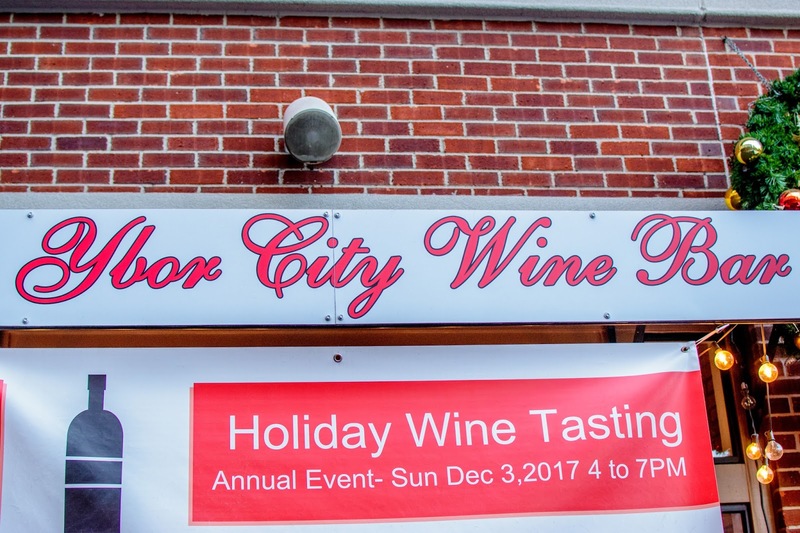 The Ybor City Wine Bar provides over 200 bottles of wine and over 100 craft beers. 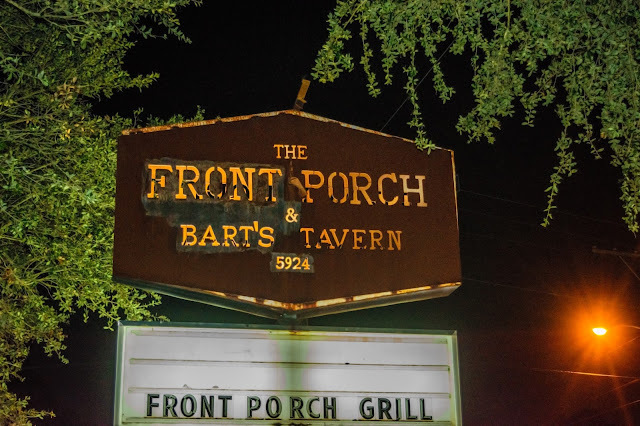 Amiable and informed staff mixed with the warm and cozy atmosphere that only an Ybor establishment could provide brings forth the best bar in the City of Tampa. If you're looking for liquor, however, this isn't the place to go. Wine and beer only. Runner up: Hillsborough County votes to remove the confederate monument outside of the courthouse. 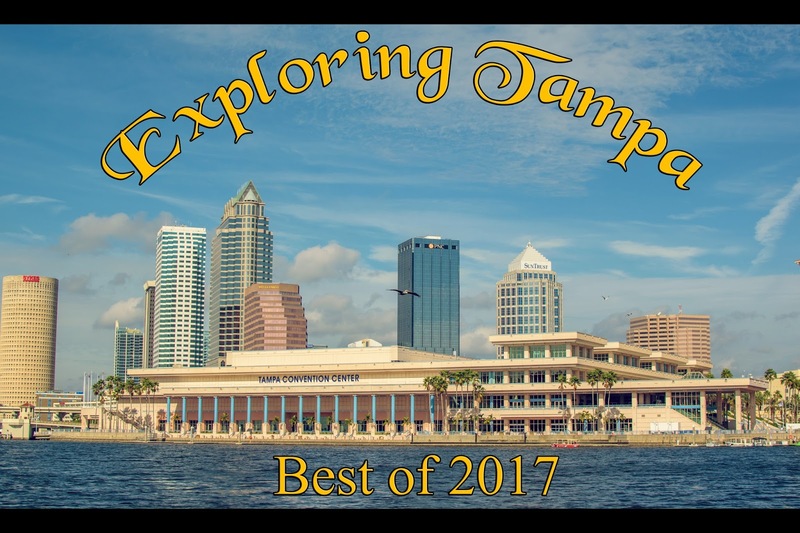 Regardless of which side of this issue you fall on, you can't deny that Hillsborough County voting to move the confederate monument from Downtown Tampa was one of the biggest shocks of 2017. 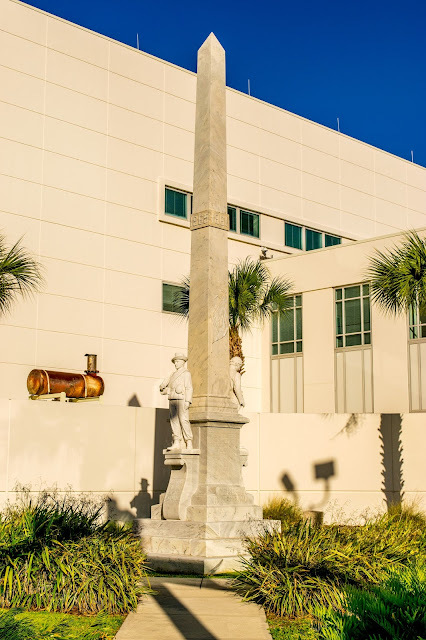 The long standing monument to the soldiers of the confederacy was put to a vote to stay in Downtown or to move to nearby community of Brandon and the votes were in. The monument can now be visited at the Brandon Family Cemetery off of SR60. This isn't on the list to rip open a healing scab. I'm not going to name him. He's not important. I'm not going to show his kill sites. As a matter of fact, I'm going to use a picture of the Mayor of Tampa in Ybor. I'm just here to talk about how shocking it was to say that the City of Tampa and the Seminole Heights community were dealing with a serial killer. I don't even feel like diving into details here. The killer was caught and the community is still healing. Go out and support the local businesses in the area that were hit hardest by this tragedy. This is a category that I'm sure many people are going to disagree with. Best neighborhood is judged off how much there is to do based on how much time I spent there. I thought long and hard about whether I should put Ybor as winner or not. While true, I do spend every weekend in Ybor, I tend to do the same things every time I there. Ignore street preachers, walk down 7th Ave, visit The Stone Soup Company, then stop at the Ybor City Wine Bar. It's not a bad life. 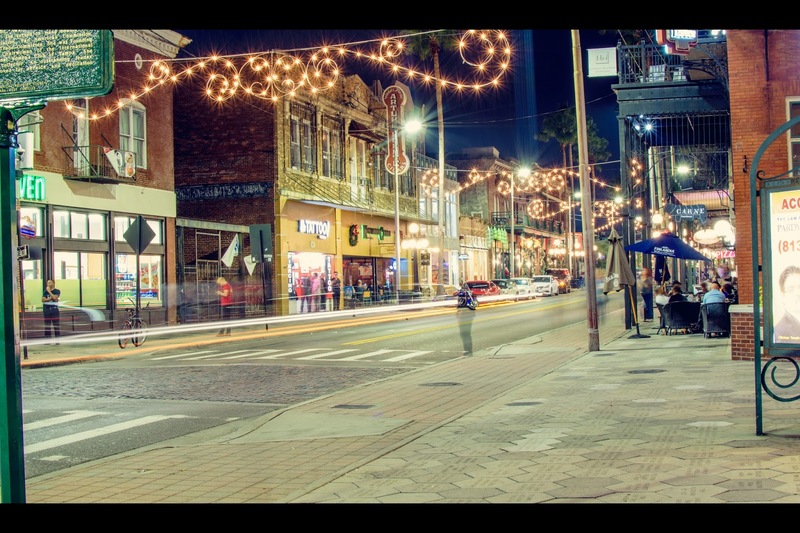 I enjoy my time in Ybor, the people I've met, the conversations I've had, the beer I've drank, and the food I've eaten. But there's one more neighborhood that I feel has done more. To those of you who know me, this is absolutely no surprise. While Ybor keeps me busy, Seminole Heights has more to it. While the restaurants in Ybor are excellent, the restaurants of Seminole Heights are both excellent and plentiful. 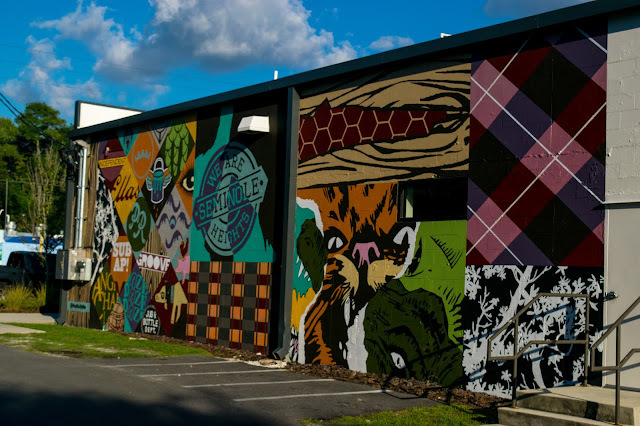 There's more green space in Seminole Heights, the breweries are easier to get to (thanks to the Brew Bus), there's more of a community feel to Seminole Heights. Add to that, Seminole Heights also has access to the Hillsborough River. While Ybor will always hold my heart as being the neighborhood that kick started Tampa, Seminole Heights is the neighborhood that renews my hope in the future of the City of Tampa. 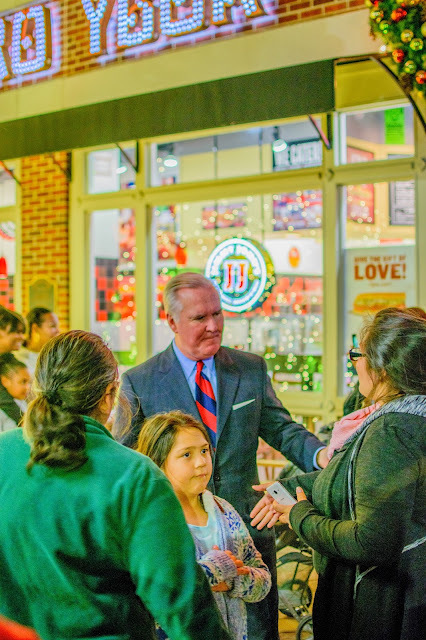 The future looks bright, and I look forward to seeing what Seminole Heights brings in 2018. And that's all I've got for you guys for this year. We hope you all have a safe and happy new year and we will see you all again in 2018! We look forward to seeing what Tampa brings us and hope you all join us. IF you have yet to figure out what you're going for New Year's Eve, come join us at Tampa Bay Brewing Company: Westchase for the New Year's Eve bash! Take care, stay safe, see you all next year.